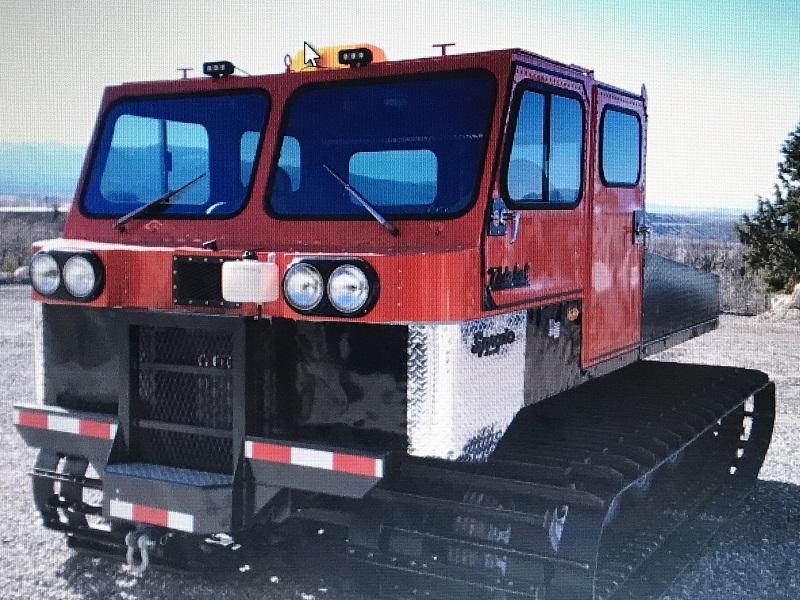 1991 LMC 1500 WT, 5-man cab, 6 cyl., AT, 2200 hours, custom interior, solid tires, escape hatch, dual batteries, new sprockets and custom cargo area. top rack. Price on request. 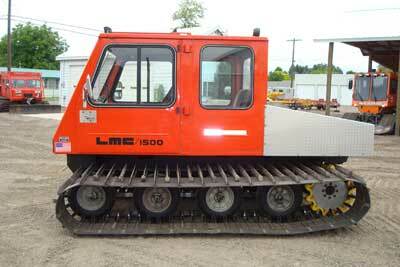 1986 LMC 1500 WT, 5-6 man cab, AMC 6 cyl., 1669 hrs., AT, ROPS, aluminum fuel tank, storage boxes and winch. Price on request. 1985 LMC 1500 WT, 5-6 man cab, AMC 6 cyl., AT, 1806 hrs., and ROPS. Price on request. 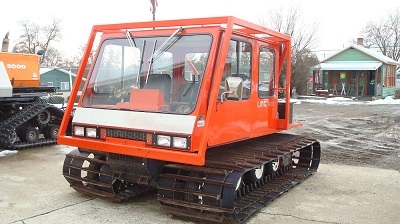 1985 LMC 1200 WT, 5-6 man cab, 417 hours, Ford 6 cyl., AT, hyd. 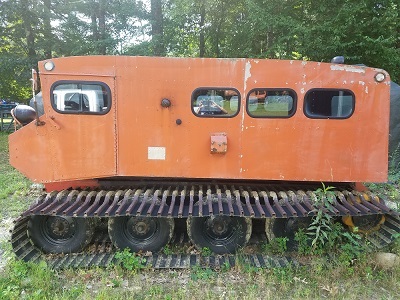 front winch and open cargo area. 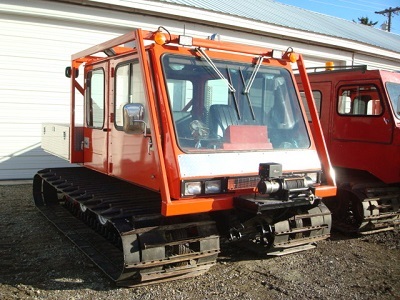 Consignment Thiokol 1404 WT, 2- man cab, Ford V4 12 sp., approx 700 hours, 30 gal. aux. 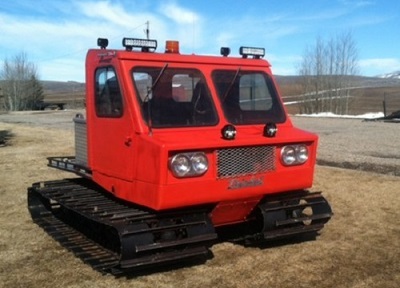 aluminum fuel tank, with a new undercarriage, new paint and new foam filled tires, including a spare. 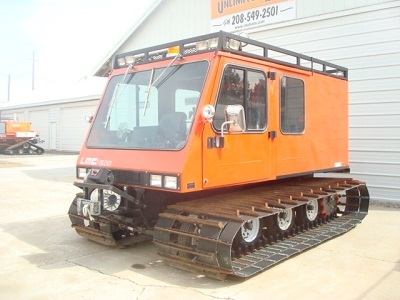 This is a great access vehicle, it is small and easy to transport. Machine is located in Soda Springs, ID 83276. Consignment 60's Thiokol 1200 Spryte, 5-6 man cab, with new upholstery, only 50 hours on rebuilt engine, transmission and rear end, new battery with new wiring, new electronic ignition, new belts and hardware, new sprockets, aluminum hubs and new foam filled tires. It also has LED lighting, a back up camera, two escape hatches, a newly lined fuel tank, it is powder coated, rhino lined and more on this nice restoration. 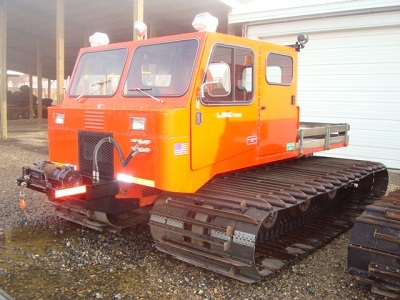 Also available, a 2-place tracked trailer and parts. Price on request. Consignment 1963 Thiokol 601, 10 man cab, 1140 hours, Ford 6 cyl., AT, runs well. 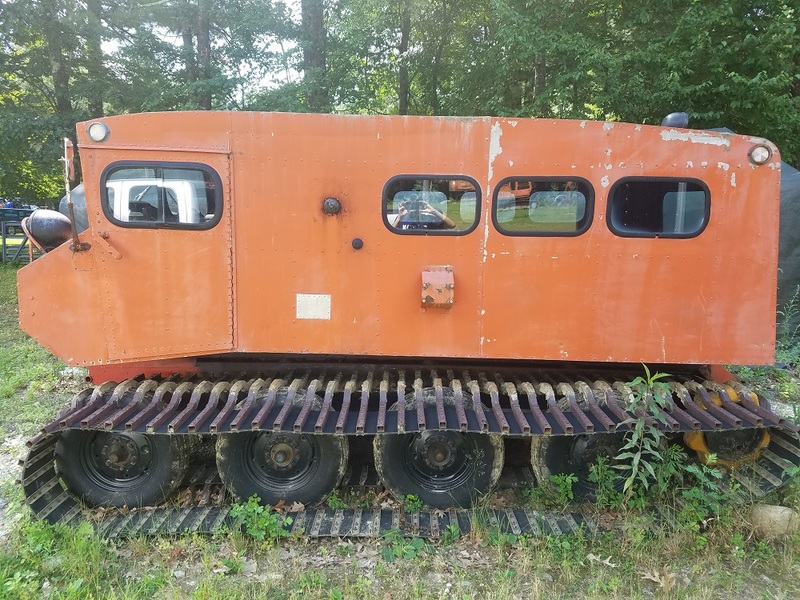 Machine located in Sterling, MA. Price on Request. 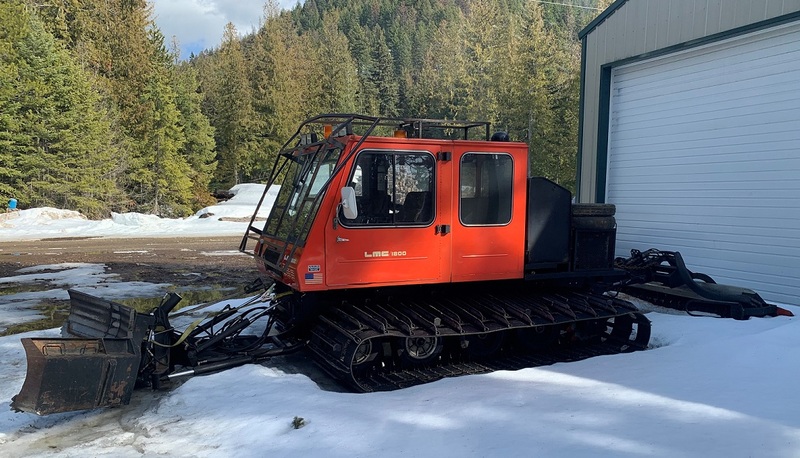 Consignment 1989 LMC 1800, diesel, hydrostatic drive, includes front blade and tiller, 5-6 man cab, 5164 hours, extended tracks, extra grousers, two sets of wings for blade, extra set of boggie wheels, brush guard, new drive motor and more parts. 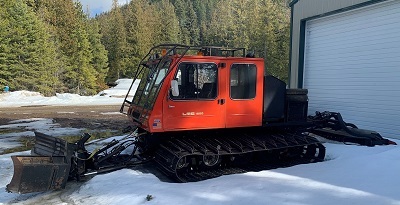 Machine needs new drive pumps and is located in Usk, WA.